We try to take advantage of the summer months - spending more time outdoors - and this includes firing up the grill on weekends. I love the smell of the freshly lit charcoal or of the newly ignited gas grill with briquettes and lava rocks. The aroma quickly sets the mood for fun, casual, easy dinners. A few of my favorites to put on the grill include steaks, barbecue chicken, Filipino barbecue pork (the one on a stick) and seafood. And the fresh catch of the day could be red snapper, grouper, golden pompano, shrimp or squid... yes SQUID! Grilled squid is a Filipino specialty. Served throughout the country, mostly during happy hour, it is a classic "pulutan" or appetizer/bar food. From roadside joints that serve food and beer (cases upon cases of them) to classy restaurants in the city, it can be served in a variety of ways, but yet "inihaw na pusit" is always a fave. Preparing grilled squid had been hit or miss for me. Once you overcook the squid, it will be as hard as rubber - and if you undercook it, you get a hot, watery mess. 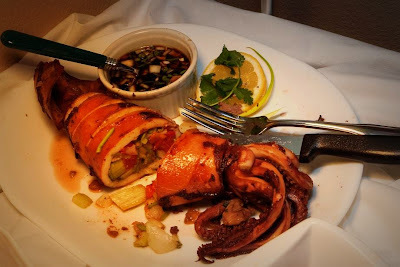 So I adapted a technique for stuffed squid - filling the squid with a mixture of celery, tomatoes, red onions, ginger (drizzling the vegetable mix with olive oil) and seasoning the squid with salt and pepper - then wrapping it in foil generously coated with oil. 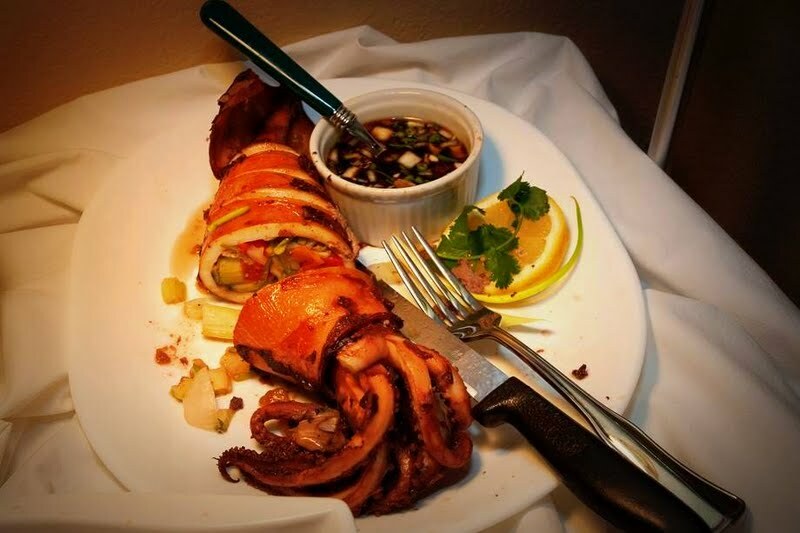 The result is perfectly cooked stuffed squid. It's perfect to the bite with a little sweet flavor complemented with the smokey notes from the char. So are you ready to fire up the grill? Try grilling stuffed squid for a change. Happy weekend! 2 thumb sized ginger, pressed then thinly sliced. Season the squid with salt and pepper. In a bowl, toss the the stuffing mix. Drizzle some olive oil and season with salt and pepper. Stuff the squid with the mix. Put back the tentacles and secure it with toothpicks. On a flat surface, drizzle some olive oil and generously coat the foil. Cover the squid with foil. Grill for about 6 minutes on each side. Let it cool. Slice the squid and transfer to a serving plate. Serve with a soy-based dipping sauce (Mix 2 tbsp soy sauce, 3 tbsp soup stock, 1 tbsp sugar, chopped onions, lemon juice, chopped green onions and Thai chilies). *Photo credits go to: TonyNievera Photography. Very tempting, Malou! I hope I can get good quality for stuffing. Thank you for this! Hello GC thanks for the comment. I haven't seen you in awhile. I love inihaw na pusit. Abd you are right it is tricky to grill it. I always made adobo instead. But then again squid this big should be grilled not adoboed. 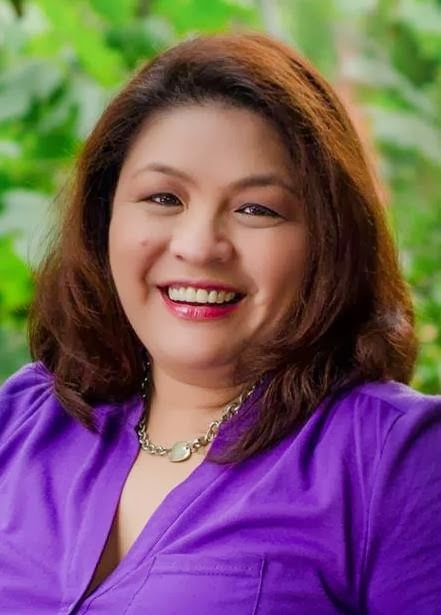 Hi Grace, I love the way you use adobo as a verb hihi. But yeah this size is perfect for grilling. Thanks for ropping by. This is one of my favorite grilled dishes. I love it even more when someone cooks it for me! Thanks for sharing another great recipe, Malou! I've never grilled squid, in part because of the difficulty of cooking it properly. Stuffing is a brilliant idea! Good stuff - thanks. Happy Memories... Happy Mother's day!